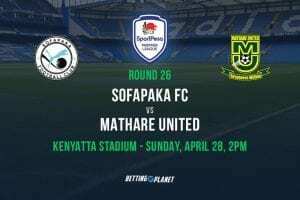 Gor Mahia has a great chance of moving to the summit of the Kenyan Premier League standings for the first time this season should they beat Kariobangi Sharks this weekend. The Saturday afternoon encounter will see K’Ogalo play at the Moi Stadium, in the Lakeside City of Kisumu. Having just returned from continental duty, Hassan Oktay’s side cruised to a 4-0 win over Zoo Kericho during their midweek KPL encounter to climb to second on the log. After an early miss by Ekisa Ssekisambu and a near catastrophic own goal by Dennis Kawanga, Gor Mahia launched the rout in the 18th minute through a Kenneth Muguna goal. 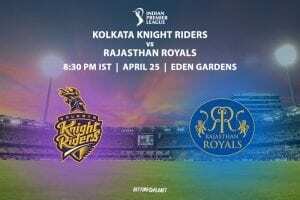 The midfielder scored a spectacular free kick that the overstretched hands of Zoo goalkeeper Martin Elungat couldn’t prevent it from heading into the top corner. Goal scorer then turned assist provider just two minutes later, as Muguna set up Dennis Oliech who scored from close range to double the advantage for the visitors. Zoo Kericho had a great chance to halve the deficit when Gor midfielder Samuel Onyango was rightfully adjudged to have handled the ball inside the box in the 38th minute, but Danson Chetambe’s well taken shot was repelled by K’Ogalo goalkeeper Shaban Odhoji. Former Harambee Stars striker Dennis Oliech, who had the honor of wearing the armband on the day, similarly missed a chance from 12 yards, as he sent his effort from the spot blazing well over the bar at the hour mark. Forward Nicholas Kipkirui, who was introduced midway through the second half by Oktay, ended up haunting his former side, as he rounded the Zoo shot stopper before guiding the ball into the back of the net in the 80th minute. Oliech then made amends for his penalty miss, as the striker sneaked his way into acres of space before scoring Gor Mahia’s fourth, nine minutes before the final whistle. The win guided Oktay’s side to second on the table with 35 points; a single point behind leaders Sofapaka despite having played three fewer league matches due to their participation in the CAF Confederation Cup. Gor’s calendar doesn’t seem to be getting any less congested, as their 1-0 home win over Petro de Luanda, coupled with Zamalek’s barren draw with NA Hussein Dey, ensured that the KPL champions booked their place in the quarterfinal of the Confederation Cup; the first time a Kenyan club achieved such a feat in Africa’s second tier club cup competition. Kariobangi Sharks sustained a 3-1 defeat at the hands of former champions Tusker FC during their midweek Kenyan Premier League encounter. Timothy Otieno inspired the Brewers to victory at the Ruaraka Grounds by scoring a first half brace, but it was Boniface Muchiri’s towering header after a cross by Kevin Omondi that put the result well beyond reach for the visitors. Sharks salvaged a goal back through Sydney Lokale who converted from the spot 15 minutes from times after defender Eric Ambunya handled the ball inside the area, but there was no denying Robert Matano’s charges maximum points from the encounter. Defeat left Sharks fifth on the table with 29 points; six points behind Gor Mahia in second. 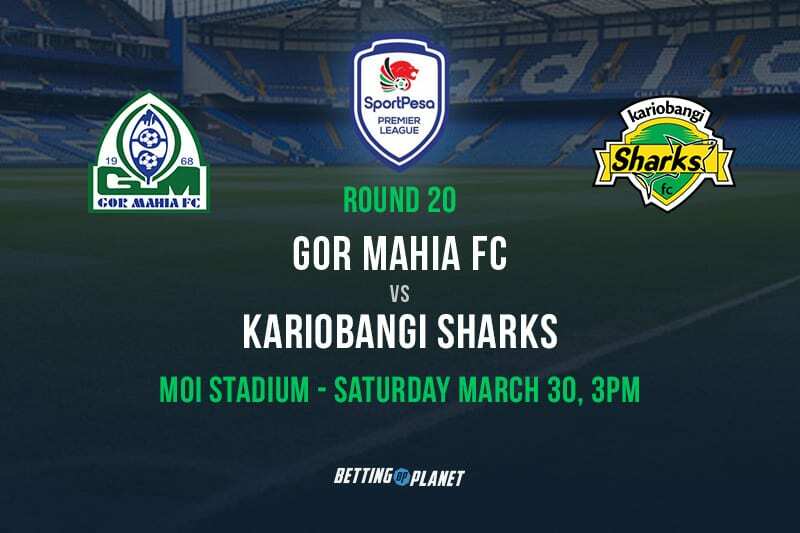 Kariobangi Sharks may have shocked K’Ogalo by beating them 1-0 back in December to clinch the Super Cup—the annual curtain raiser for every KPL season—but it’s unlikely that Gor Mahia will be as defensively sloppy as they were four months ago.